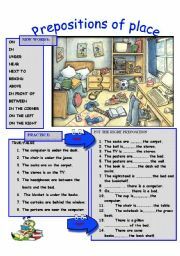 PREPOSITIONS OF PLACE:Look at the image and put the right preposition, true or false. 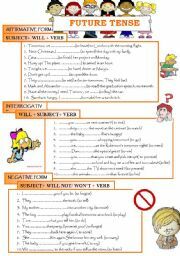 FUTURE TENSE: practice affirmative forms, interrogative and negative. 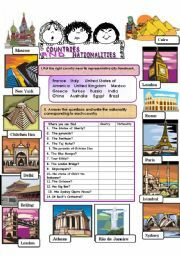 COUNTRIES AND NATIONALITIES: match the capital with its country, guess the country and its nationality. 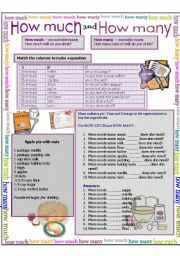 Personality traits: read the descriptions and put the right adjective from the pink box. 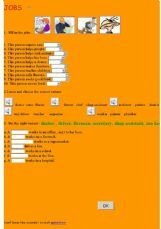 How much- how many practice. 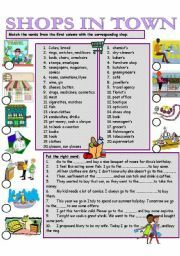 Shop-shopping vocabulary.Match the shops with their names. 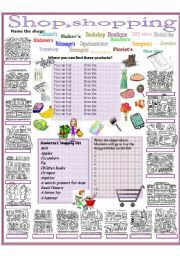 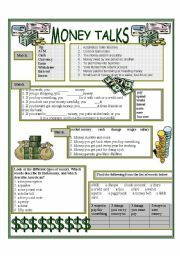 Solve the exercises and practice shopping vocabulary. 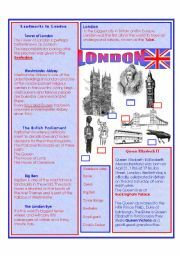 Special days in UK: read about special days in Uk and guess the month according to the clues given. 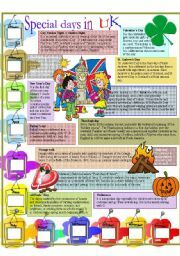 Then, fill in the calendar.